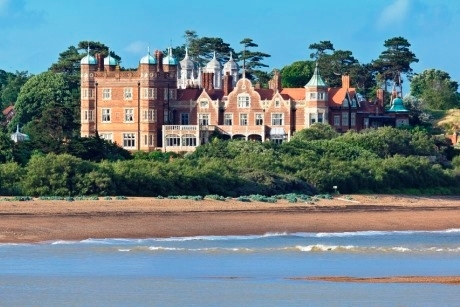 PGL has announced the opening of two residential centres, PGL Bawdsey Manor in Suffolk and PGL Newby Wiske Hall in North Yorkshire. The centres joins PGL’s current collection of 12 other adventure sites, which are located across the country, from Shropshire and Wiltshire to London and Wales. PGL caters for both Primary and Secondary school trips. Multi-activity courses are available at both centres. Activities link to National Curriculum subjects including Physical Education and PHSE. Formerly a boarding school, Bawdsey Manor is a Grade II listed manor house set within 144 acres on the water’s edge near to Woodbridge in Suffolk. Students can take advantage of a range of facilities including a gym, classrooms, playing fields, extensive landscaped gardens and a scenic beach with panoramic views across the coast. The manor is open this summer for youth group residentials, and more development work will be completed over the winter to provide en suite accommodation and even more adventure activities for schools to enjoy in spring 2018. Abseiling, a zip wire, canoeing and a challenge course are to be expected. Newby Wiske Hall in north Yorkshire was most recently the headquarters and training centre for North Yorkshire Police. It’s another Grade II listed house and was originally built in 1684. The house is set in 35 acres of grounds which include a lake for watersports. Activities that can be enoyed on the site, when it officially opens to schools in spring, will include zip wires, giant swings and challenge courses, plus many others. Less than two hours from Leeds and Newcastle, the site is located in the North Yorkshire countryside between the North Yorkshire Dales and North Yorkshire Moors National Parks. Visiting groups will be able to enjoy the use of classrooms, a sports hall, teacher lounges and a shop. For more information, and to arrange a viewing of the centres ahead of opening, visit www.pgl.co.uk.